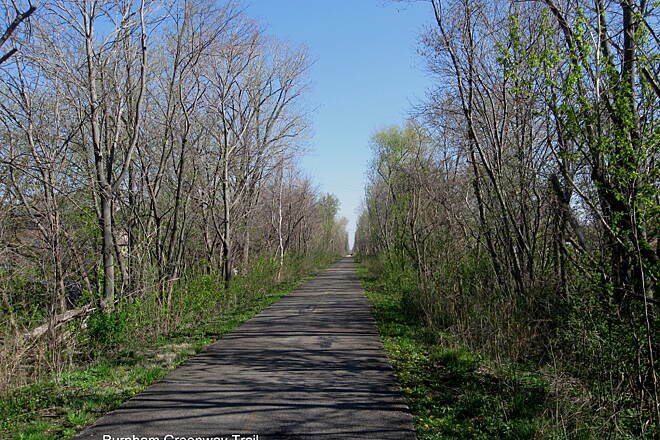 The Burnham Greenway is composed of two distinct portions that both run along a former railroad corridor between Chicago and Lansing, Illinois. 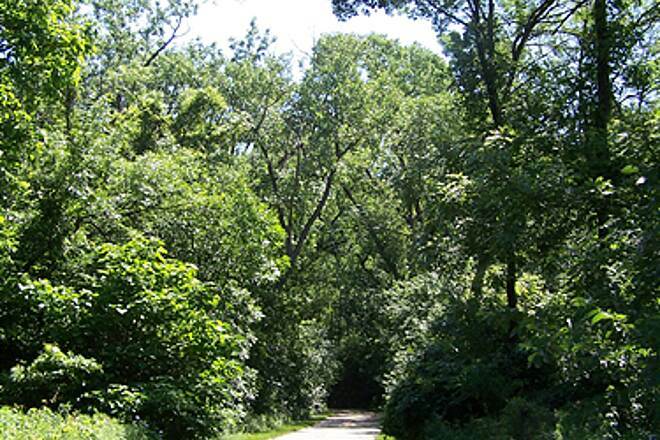 There are plans to extend and connect these short sections, which will create 11 miles of trail through some of this urban environment's best natural areas. Until that point, however, it is best to treat these as two separate trips. 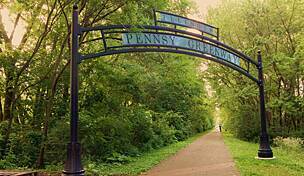 The Burnham Greenway’s northern segment stretches 3.15 miles north from Wolf Lake to 100th Street. 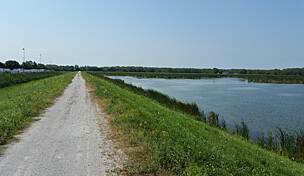 The lake, which straddles the state line between Illinois and Indiana, has a parking area and playgrounds, as well as access to swimming, fishing and biking. 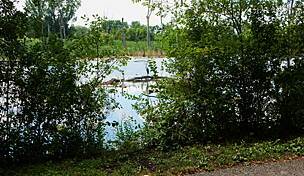 Wolf Lake and other neighboring lakes are believed to be among the most biologically diverse places in the Midwest. Wolf Lake is home to the endangered lake sturgeon and the threatened banded killifish; and its wetlands are inhabited by three species of endangered heron, plus the rare yellow-headed blackbird. So impressive is this area, more than 150 experts in botany, zoology and related ecological fields gathered here to identify and record organisms living in the lake and surrounding forest, prairie and marshland. 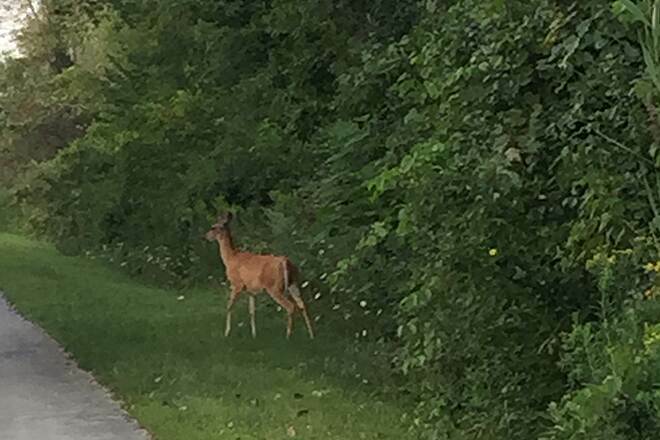 The undertaking revealed the extraordinary biodiversity of green pockets that have survived within the urban and industrial landscape south of Chicago. 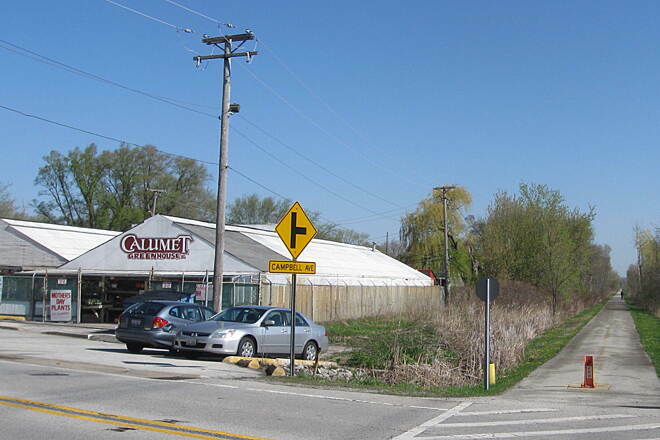 Heading north from Wolf Lake, you will travel through a populated urban area, where locals frequently use the path to walk or bike to and from grocery stores. It's a wonderful example of a path that doubles as a neighborhood transportation corridor, with housing, restaurants and small grocery stores nearby. 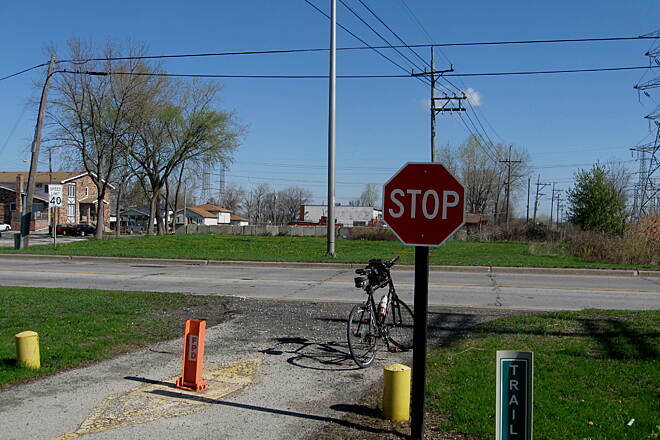 There are a few road crossings that require careful crossing, but all crossings are well marked. 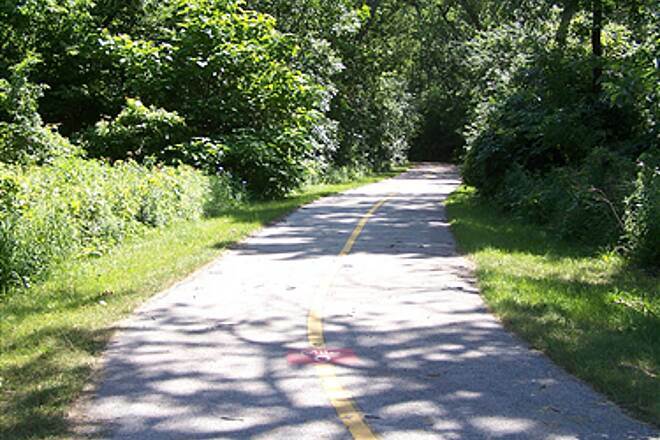 The southern segment of the Burnham Greenway covers 2.1 miles between Green Lake Woods (159th Street/US 6) and State Street. If you are arriving by car, start at Green Lake Woods, which has the only parking. 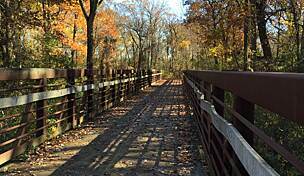 The trail here is pleasant and well traveled, passing baseball fields and many neighborhoods. 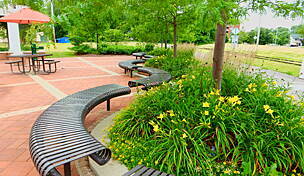 It passes Commissioner's Park, which features a playground and skate park. There are plans to close the gap between the north and south segments. 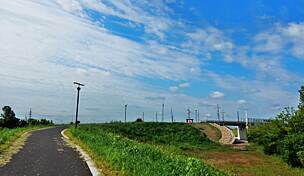 At the Burnham Greenway’s southern terminus at 159th Street, connect directly to the expanding Pennsy Greenway for a longer trek into Indiana. 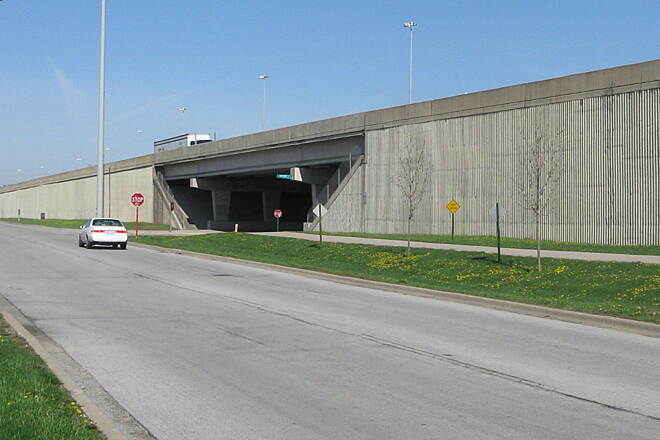 To reach Wolf Lake just outside Hegewisch, IL, (the north trailhead) from I-90/94 East, take the exit for Indianapolis Boulevard/US 12/20/41 south and take a slight left on South Indianapolis Boulevard/US 12 E/ US 20 E/US 41 south. Bear right at South Avenue B and turn right at East 106th Street. 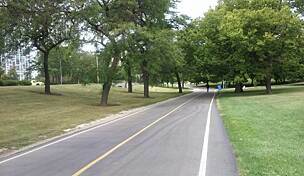 Turn left on South Avenue O, travel on S. Ave. O for 2.4 miles, then turn left again at South Wolf Lake Avenue. Upon entering the park, turn left onto the first road that leads into the parking lot. 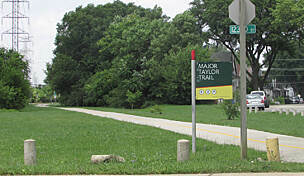 The trailhead is on the left about 0.5 mile ahead along the park road. 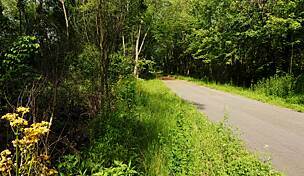 To reach Green Lake Woods (the south trailhead) west of Calumet City, from I-94 exit at US Route 6 and head east. Turn north on Torrence Avenue, and then turn right into the trailhead parking lot. 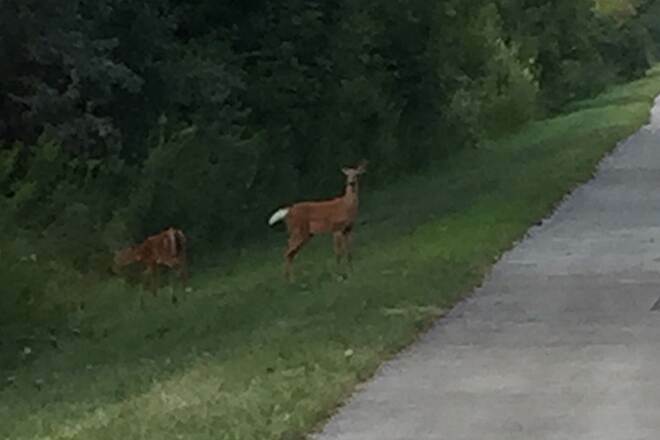 I lived in Hammond in 2014-2016 and this was one of the nearby trails I would frequent. Very well maintained. It doesn't hit any unique spots or destinations. Just a fine trail for a road or touring bike. 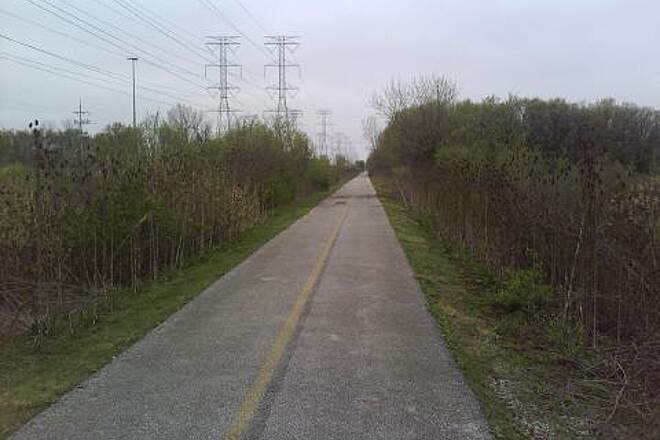 This trail is good for inner city and if you're starting out. For the most part every block or so you have the ability to step off the trail into a neighborhood to ask for help if you need it. 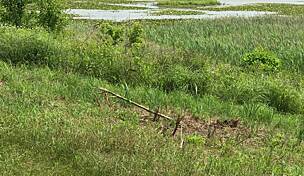 If you are looking for an immersion into nature you may need a more rustic trail. 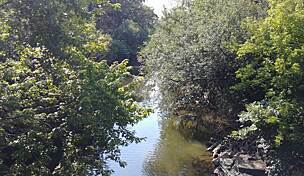 There are some beautiful parts but for the most part you are adjacent to homes on the west side of the trail. The east side of the trail is where you get a bit of majesty in patches. 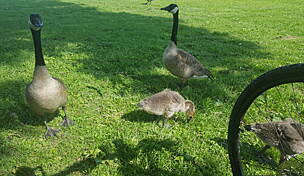 It is very crowded on nice days with families, dogs and bikes which can be said to be good for some but not for others. 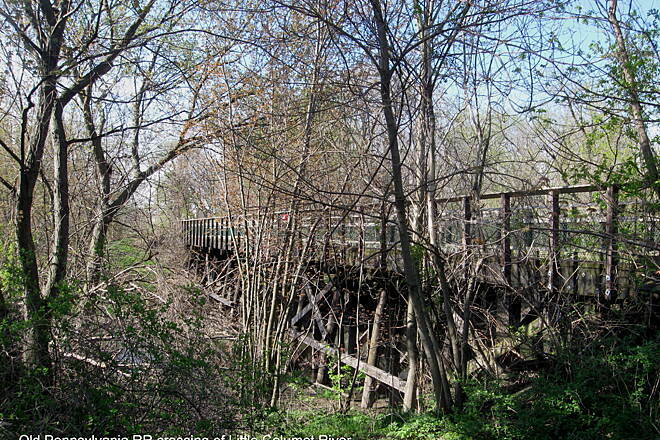 Though this trail is maintained well, one actual negative point is the amount of graffitti and broken glass in spots.